Sunday October 16th is National Feral Cat Day! Thanks to amazing volunteers from around the country, there will be events in every state. From adoptions to spay and neuter to outreach, check out Alley Cat Alley’s calendar of events to see how you can get involved. Meanwhile at Teal Cat Headquarters, we’re making our own plans to pitch in, and we’d love for you to join us! It’s called the Teal Nail Project, and as you can probably guess, we’re asking everyone to paint their nails teal for Feral Cat Day. When the compliments start rolling in (and teal nails always get compliments) you can let people know that it’s National Feral Cat Day. If they’d like to know more, send them over to NationalFeralCatDay.org. Who knows? Your manicure just might inspire others to get involved. At the very least you’ll be raising awareness and your hands will be looking fabulous. And serendipitously, Alley Cat Alley has chosen teal to represent National Feral Cat Day, so this is fate! And since obviously your nails should be cruelty free for this occasion, we’ve compiled a list of teal nail polishes that aren’t tested on animals, and that don’t use animal ingredients. 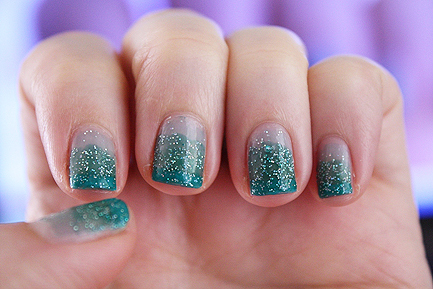 Go sparkly with Orly’s Hailey’s Comet, Sinful Colors Nail Junkie or Wet N’ Wild’s Teal Of Fortune. For a sleek, classic look try Orly’s Frisky or Viridian Vinyl, ELF’s Teal Blue, or China Glaze’s Custom Kicks. 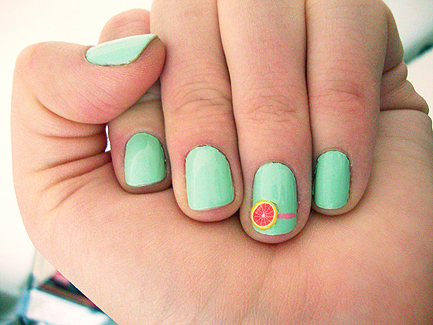 And if you’re looking for some fun manicure ideas, check out The Look For Less’ Manicure Mondays. Lacey, checkerboard, or Frenchie manicures can be yours! Please post your pics either in the comments or on the Teal Cat Project Facebook, and we’ll compile them all. Happy painting, everyone!